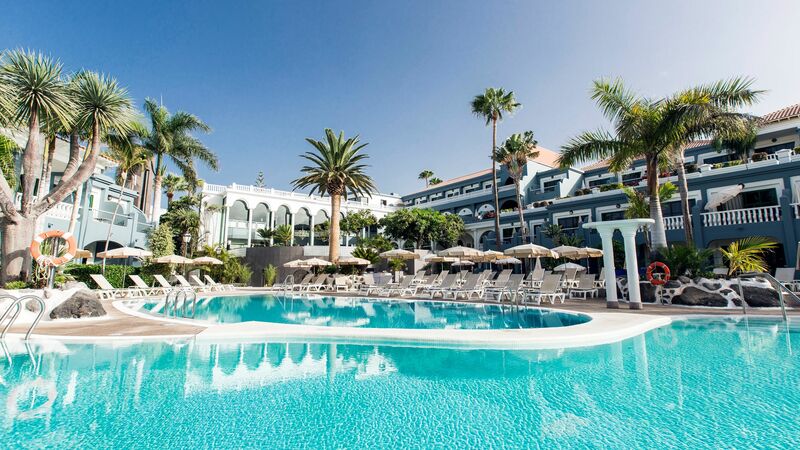 Costa Adeje holidays offer a thriving hub of amenities for everyone. Located on the south coast of Tenerife, its choice of two long sandy beach offers the perfect retreat for families, couples, and small groups. Luxury hotels are dotted throughout the town, and there are some excellent boutiques, restaurants and bars to choose from. Families with younger children can make the most of the Blue Flag status beaches, with amenities lining the promenades and soft sands which gently shelve into the brilliant blue Atlantic Ocean. Older children and adults seeking some fun will love the watersports available, including jet skiing, sailing, paddle boarding, and lots more. In the evenings, choose from a wide selection of restaurants, serving everything from delicious Spanish delicacies to innovative sushi dishes. Afterwards, listen to some of the live bands play as you enjoy a crisp glass of wine or visit one of the trendier bars along Costa Adeje’s waterfront. 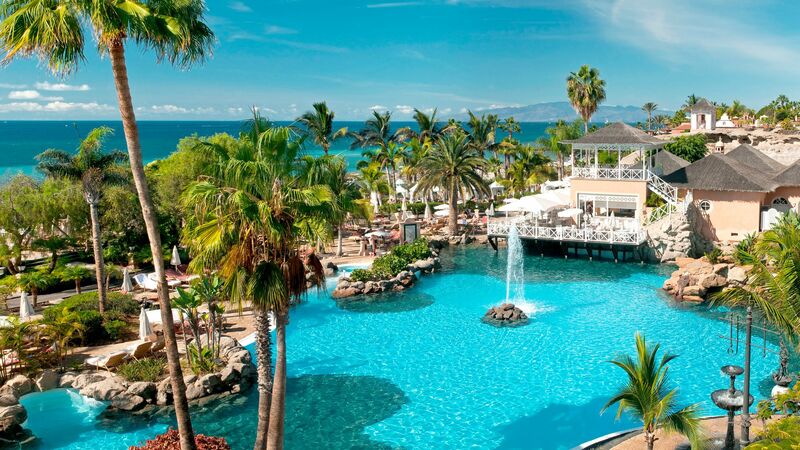 With its vast swathes of Blue Flag awarded sands, opulent hotels, designer shops, and upmarket restaurants, it’s no wonder even celebrities are a fan of luxury holidays in Costa Adeje. The waterfront area is studded with gourmet restaurants where you can immerse yourself in the succulent, locally caught seafood, as well as Mediterranean dishes, Peruvian, Japanese, and more. 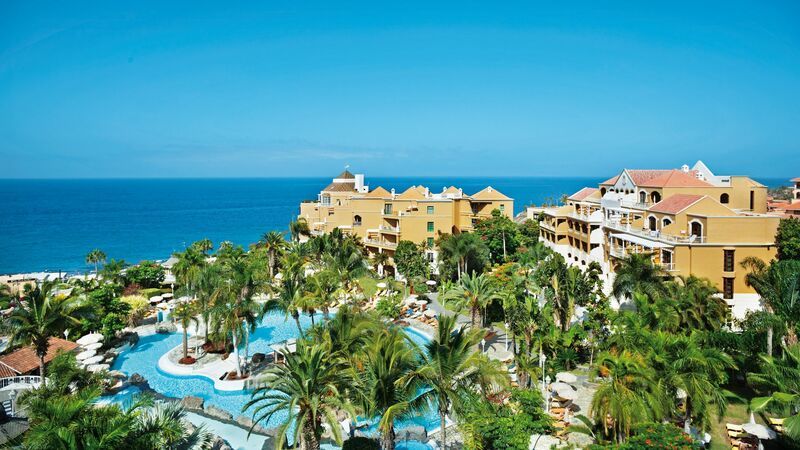 There are some fantastic hotels to choose from for your luxury holidays in Costa Adeje. At Sovereign we’ve made the choice easier, carefully selecting the hotels which bring you the best amenities and facilities. 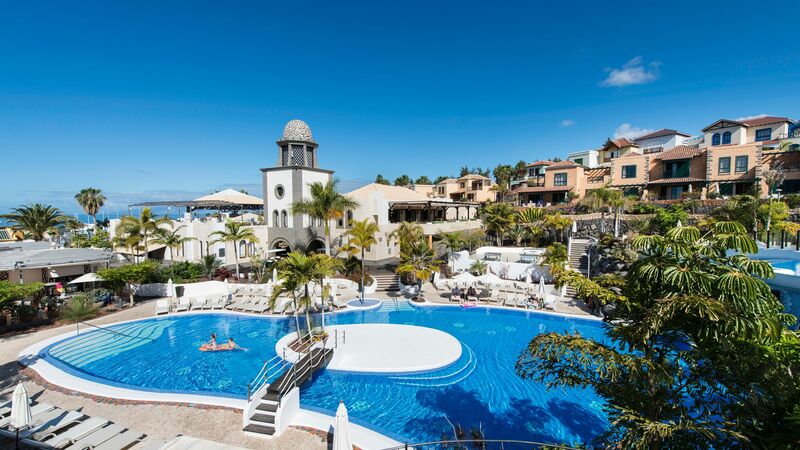 Stay at the 5-star Hotel Bahia del Duque for beautiful gardens overlooking the sparkling Atlantic, along with a wide range of facilities for guests of all ages. 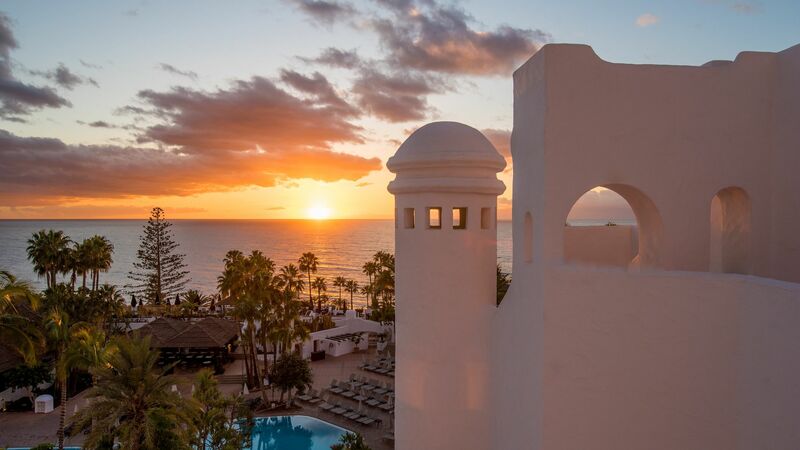 Colon Guanahani has stunning architecture, excellent cuisine, and sunset views, while Hotel Jardin Tropical offers a contemporary take on Canarian architecture. Here you’ll find a choice of nine restaurants and bars serving everything from seafood to burgers, as well as an extensive spa. Flight time from the UK to Tenerife is around 4 hours 30 minutes. Transfer time from Tenerife South airport to Costa Adeje is approximately 30 minutes. Tenerife enjoys a classic Canarian climate: hot sunshine, all year round. You’ll get around 11 hours of sunshine a day throughout summer, which starts warming up around April and regularly pushes into the low 30s around July. Even in the off season, it’s unlikely to fall below the low-to-mid teens. What family friendly activities are available in Costa Adeje? There are a wealth of choice available to keep the kids entertained on a day away from your resort. Pueblo Chico is a fun model town, the interactive Museum of Science and the Cosmos is fun and entertaining, Lago Martiánez is a huge swimming pool complex designed by a famous Lanzarote architect, Loro Parque is a zoo popular with families, as is Las Águilas Jungle Park, and Siam Park provides all the thrills you’d expect of Europe’s biggest Water Park.